The Brookings Institution, one of the country’s top left-leaning think tanks, has for the first time admitted to Congress that it receives millions of dollars every year from foreign governments, including Qatar and the United Arab Emirates, according to official disclosure forms obtained by the Washington Free Beacon. Brookings has come under intense scrutiny by reporters and others for not fully disclosing the large amounts of cash it receives from Middle Eastern governments. The practice has led some to accuse Brookings and its most prominent scholars of pushing biased analyses aimed at making these foreign governments look good. 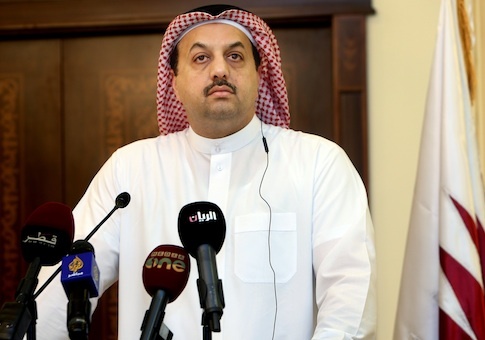 The think tank’s relationship with Qatar has received particular attention due to the Middle Eastern country’s close relationship with the terrorist group Hamas and its ongoing funding of various terrorist entities. The disclosure form, which is presented to Congress before an individual testifies, reveals that Brookings received nearly $15 million from the Embassy of Qatar between 2013 and 2015. Brookings also maintains a facility in the Qatari capital of Doha, where Hamas is known to operate freely. The think tank received another $1,920,000 from the Embassy of the United Arab Emirates between those same years. Several million dollars also have been donated over those years by the Norwegian and Swedish governments. U.S. Central Command (CENTCOM) also donated more than $250,000 to Brookings. These disclosures came as a result of a Sept. 17 congressional hearing at which Suzanne Maloney, a Brookings senior fellow, offered testimony on Iran’s relationship with the terrorist group Hezbollah. The forms further reveal that, in addition to the millions in foreign donations, Brookings has received federal grants. Both the foreign donations and federal grants "were for independent research and analysis related to an number of subject matters," according to Maloney. A "portion" of these funds may have been "related to the hearing," which discussed the ways in which Hezbollah stands to profit from Iran in the wake of the recent nuclear deal. When questioned about the foreign donations by the New York Times last year, Martin Indyk, a Brookings scholar who has also worked with the Obama administration, defended the practice and maintained that it does not bias his views. "Our business is to influence policy with scholarly, independent research, based on objective criteria, and to be policy-relevant, we need to engage policy makers," said Indyk, who reportedly received a $14.8 million check from Qatar. Many experts have refuted Indyk’s claim and accused Brookings and Indyk of ignoring a clear conflict of interest. "When an American think tank like Brookings accepts money from Middle Eastern regimes that sharply restrict free speech, it is saying it doesn’t care that its scholarship on the Middle East might at least appear to be compromised," said Lee Smith, a senior fellow at the Hudson Institute who has reported on Brookings’ funding. "It is saying it doesn't care that there is at least the appearance if not the reality of a very obvious conflict of interest." This appearance of a conflict became acute when Indyk was selected by the Obama administration to mediate peace between Israel and the Palestinians, Smith said. "The problem was further compounded when the Obama White House named Martin Indyk to serve as envoy to a peace process between two actors, Israel and the Palestinian Authority, that are both at war with Hamas—a terrorist organization that, like Brookings, is funded by Qatar," Smith said. "That neither Indyk nor Brookings nor the White House ever saw this as a conflict of interest is evidence of an arrogance beyond compare." Josh Block, CEO of the Israel Project, said the new disclosure rules are necessary for transparency. "The reason we supported this rule change is because the American people deserve to know what foreign governments are paying to influence U.S. policy by funding these ‘independent experts' to the tune of millions of dollars—especially countries like Russia or Qatar with long, sordid records of mischief or supporting terrorism against Americans and our allies and of rank hostility toward Israel," Block said. "Until now, the potential foreign financial conflicts of interests and the motives of those funding the experts testifying was totally hidden from view," Block said. "This kind of transparency is good governance. We applaud those in Congress who adopted this rule for matters of foreign affairs and national security and would like to see its expanded use in other committees in both the House and Senate." Brookings did not respond to a request for comment on its foreign funding. This entry was posted in National Security and tagged Qatar. Bookmark the permalink.